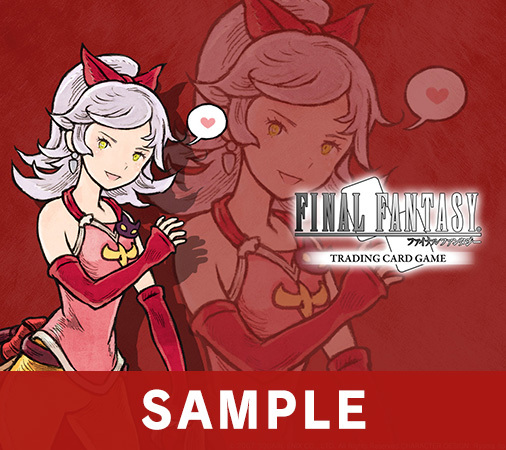 We talked to Ryoma Ito, an artist from SQEX who provided original illustrations of characters from FINAL FANTASY TACTICS A2: Grimoire of the Rift, and Mr. Matsuyama, a member of SQEX Merchandising overseeing FFTCG. Past work includes titles such as FINAL FANTASY IX and FINAL FANTASY XII. Was the main character designer for FINAL FANTASY XII: Revenant Wings, and character designer for CRYSTAL DEFENDERS, FINAL FANTASY TACTICS ADVANCE, and FINAL FANTASY TACTICS A2: Grimoire of the Rift. 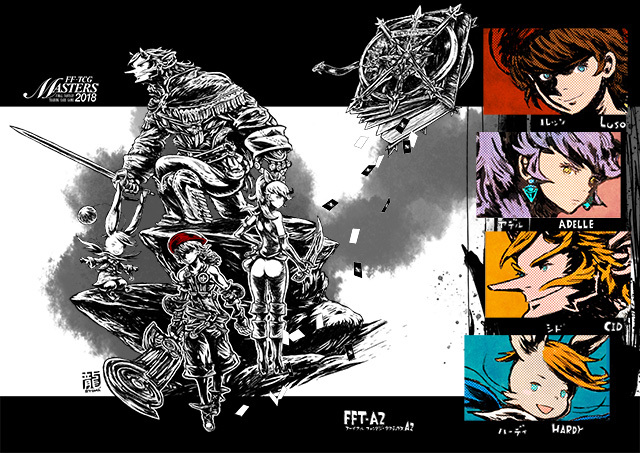 ―When we asked the producer of FFTCG, Mr. Kageyama, why he chose FINAL FANTASY TACTICS A2: Grimoire of the Rift [hereafter FFTA2], we learned that it was his favorite title and that he was eager for original illustrations of the game’s characters. Can you tell us about the process this time around? Matsuyama: We asked Mr. Ito for nine illustrations. Because he’d already had an established art style, we suggested making it a series of sorts. ―You handled the original character design for FFTA2, but did you have any difficulties with this request? Ito: I’d actually been drawing the FFTA2 characters pretty regularly due to various collaborations, so I honestly didn’t have a lot of issues. I made sure not to stray too far from the original FFTA2 designs, but then Mr. Matsuyama said I could improvise, which led to a slight internal dilemma on my part. [laughs] I ended up changing the art style quite a bit from the next batch onward. ―I see. Is that why the illustration for the Japanese Masters tournament has a vastly different style? Matsuyama: Mr. Ito is taking the time to work on FFTCG for us, so I feel like it’s my job to help him create something new. Ito: The grimoire was an afterthought, but Mr. Matsuyama seemed to like the density of the strokes. Matsuyama: This type of drawing, using a pen for the coloring and everything, is magnificent. It may have an out-of-date feel, but that helps accentuate the fantasy aspect. 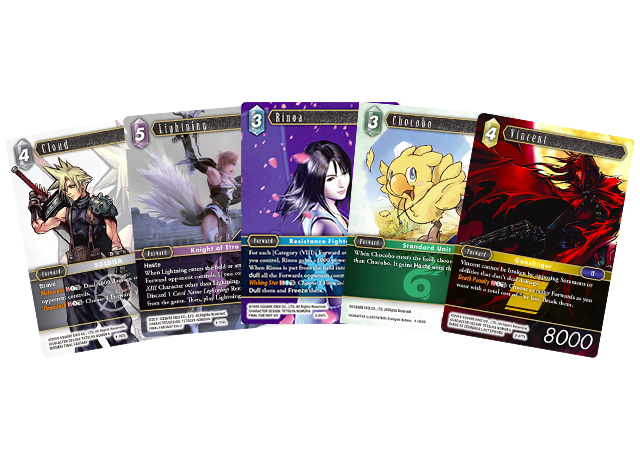 ―Was there anything unique about working on FFTCG? Ito: There’s wiggle room in the schedule. Designing art for a game comes with a strict schedule, and there’s always a deadline around the corner. The FFTCG schedule had breathing room, which gave me time to try new things. 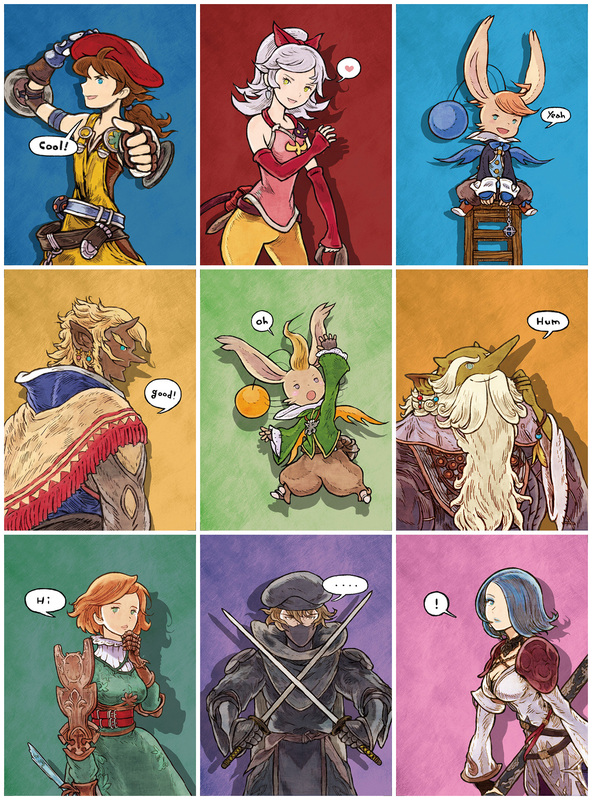 ―Do you have a favorite character from FFTA2? Ito: Montblanc. He’s introduced in FINAL FANTASY TACTICS ADVANCE [hereafter FFTA], and while it’s explained he’s the oldest of six, only he and Nono appear in the game. 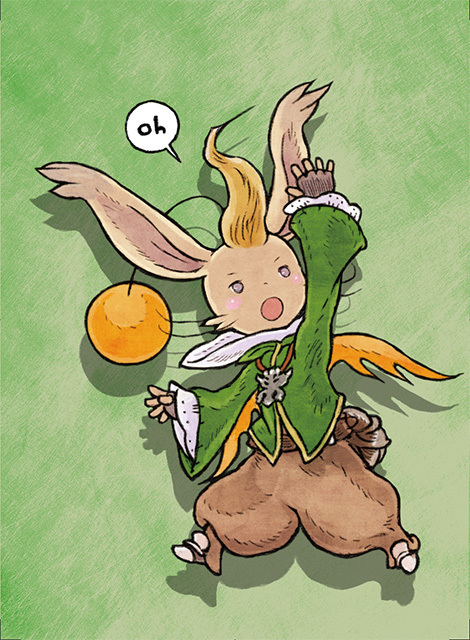 They all appear later in FFXII, but I’ll always be fond of the first moogle I designed. ―Did this request remind you of the development process of FFTA2? Ito: It reminded me of a time before I entered the company, when my favorite game was Tactics Ogre. I wanted to work with Mr. Matsuno [the director] so badly! But at the time, I was a young, ignorant, and cocky kid with this embarrassing notion that I needed to make something of myself before I met the great Mr. Matsuno. [laughs] But I must’ve also been lucky, because not only did I get a job at Square, Mr. Matsuno, who I thought was at Quest, was there too. He even asked me to do the main character design for FFTA, and we ended up working together. Everything was happening much faster than anticipated; I was in my 20’s, and all my dreams were coming true. ―I hear there’s more of your work to come in FFTCG. Is there anything you’d like to accomplish? Ito: When I saw Mr. Toshitaka Matsuda’s work, I thought, “This is amazing.” I’d like to draw pieces that will hopefully make people react the same way and be valued by the quality of the work itself rather than the name of the artist. ―I look forward to seeing more of your illustrations in the future! Thank you both for your time! 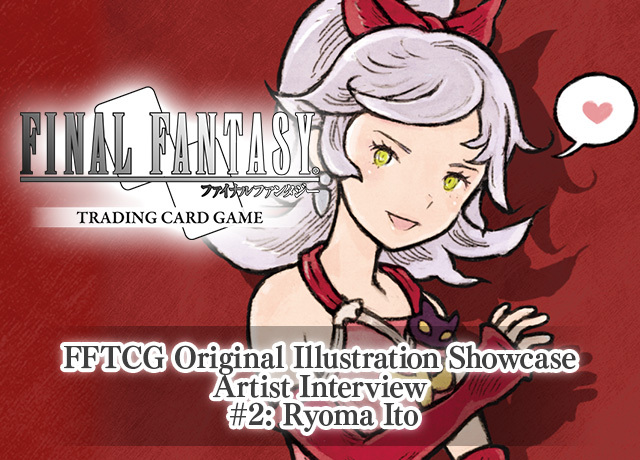 The next interview will be with illustrator Toshiyuki Itahana and will feature original art of FF mascots based on FINAL FANTASY CRYSTAL CHRONICLES: Ring of Fates. Don’t miss it! Ryoma Ito’s original illustration of Adelle is now a wallpaper!